As you know by now XinFab will reopen and things are going to be a bit different from now on. We will be running XinFab entirely by volunteers, this means there is no employee to open every day or be at your disposition. So, when coming to XinFab, we ask you to take care of the space, the machines, of yourself and also to contribute by helping each other and the space. 1_OPENING HOURS: XinFab will open only when volunteers are at the lab (this is mostly for your safety), and being only two volunteers right now, we will be opening to the members twice every week. Open on fixed days (for example Friday and Saturday) or if you get a 6-12 month membership you will get a key to the space. 2_TAKING CARE OF THE LAB: When you come to the Lab, leave the space as you found it before (organized), clean your mess and leave the tools in place. And we hope you know this already, but if you break anything you must either repair it yourself or buy the parts/equipment you broke. 3_USING THE EQUIPMENT: If you don’t know how to use a machine, come to a training workshop after that you can come and use the equipment by yourself. 4_THIS IS A DIY SPACE! When a volunteer is at the lab it doesn’t mean we are going to be behind you, we are here to make sure you don't set things on fire but remember this is a DIY space, so things are your own responsibility. 5_VOLUNTEERS, if you want to become one start by being active! contact us, tell us how you can help and make it happen! we need your help! 6_OPEN NIGHTS, we will hold them once every month or so. This night will not only be for people to come by, have a drink and take a look at the space, no! this night is also a moment for you to be active and help us either by fixing something, arranging the space, organizing events or whatever the space needs. 7_UPCOMING! 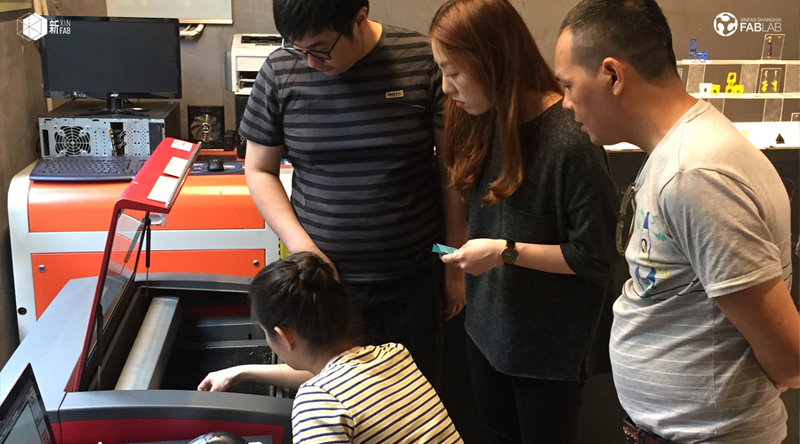 SPECIAL PRICE FOR TRAINING: The next two months we will offer very low-cost training (30rmb/hour) so that you learn the basics on how to use the laser cutting machine, the 3D printers, and the power tools we have at XinFab. The idea of these workshops is that you learn how to use the machines so that then you can come and use the equipment by yourself, and/or help us to teach other members. 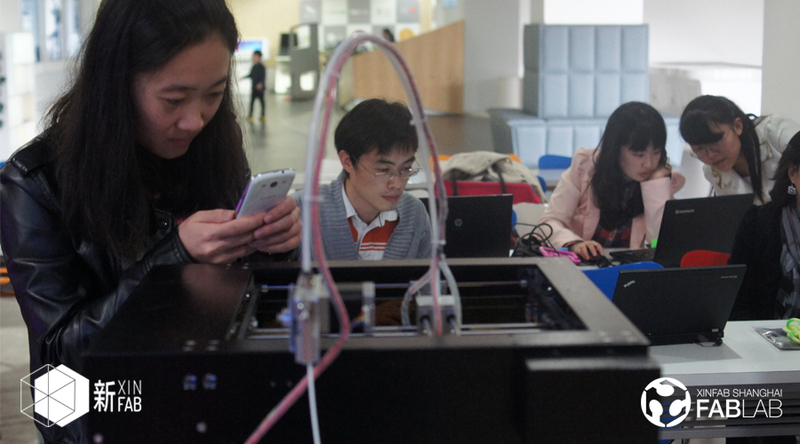 _50rmb DAILY PASS now you can come for a single day for 50rmb which includes 3 hours of laser cutting usage or you can use it as credits for 3D printing*. You also have access to the power tools and hand tools we have at the space. _180rmb limited monthly credits* same deal as before, 180rmb=180credits that can be used either for 3D printing or Laser cutting machines. If up until now you are feeling that there are too many rules or there are things that don't work out for you, then come to help us so that the list shortens and we make this Lab alive once again. 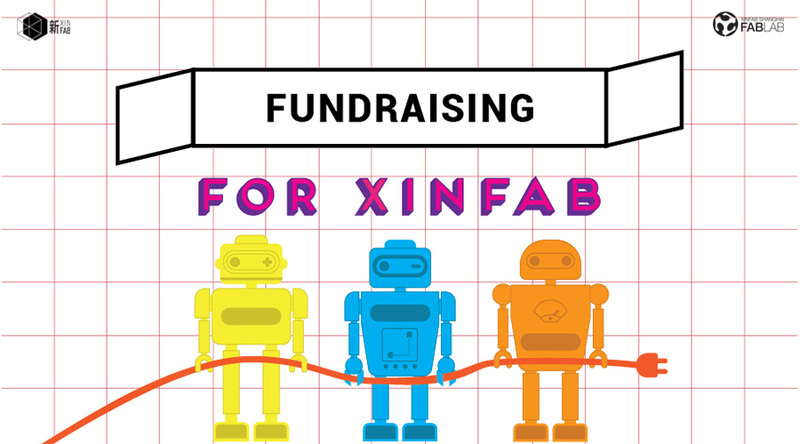 This is a nonprofit space that offers you the possibility to come and use machines to help you with your projects coming to life...give back the same life to XinFab by taking care of it and by contributing. And last but not least, being part of this community means that you will also have the right to participate in the democratic decision-making of the lab. Hope to see you soon, and thank you! They say cats have 7 lives... we don't know about that but we are sure that XinFab has more than one. Thanks to the support and great generosity KCLabs we've managed to survive once again!. 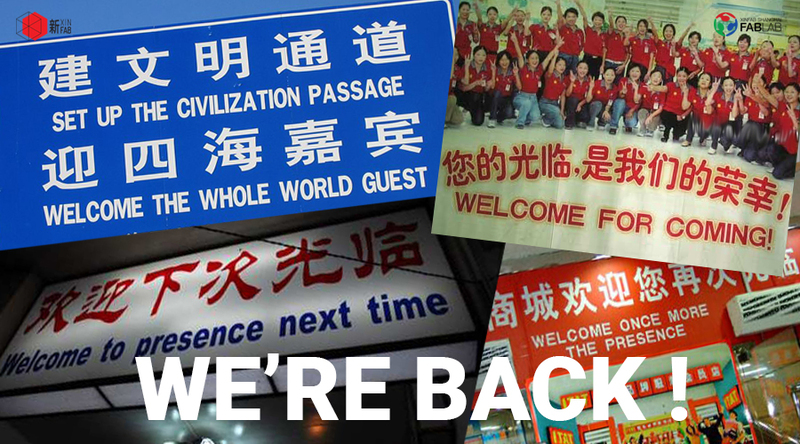 Not only we are going to REOPEN, but we are STAYING AT THE SAME LOCATION: Jing An District, Wuding Xi Road #1288, Room 302. With the only difference that our space will be a bit smaller than before so the Lab and its management will be rethought. We have a big big heart but very limited resources, and although KCLabs is supporting us with the location, we are still struggling with fundings. It is being complicated to cover many costs, including the management of the Lab. So we will need as much support FROM YOU THE COMMUNITY as possible to keep running the space. You are more than invited to participate and help us out. We will update you soon, but be sure we are reopening during the month of February! And as always, volunteers, help, support, and sponsors are more than welcome, just get in touch with us! As you all know, lately the road has not been easy for Xinfab. The past year was rough but we had the great luck to find a space who opened their doors for us and helped us hosting our lab for the past months. During this time we made incredible progress: growing number and diversity of activities, new and talented volunteers, adding many new friends and members of our community. Unfortunately, we were warned by our landlords during the end of the past month that they can no longer host us, as they need the space back. So it is with a heavy heart that we have to officially announce we will be closing our Lab at the end of January 2019. 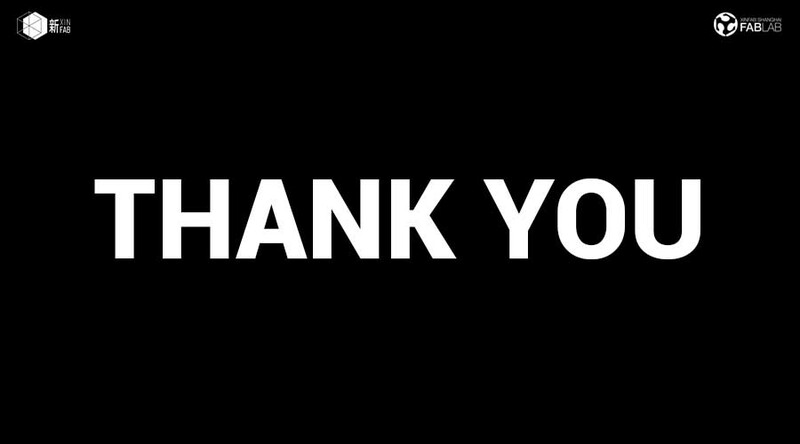 We would like to give the biggest thank to everyone who has supported and believed in XinFab since its creation, and to all our community and volunteers who have helped us to keep running our space. On a separate note, we would like to ask a last favour: we are open to the possibility of any company/particular sponsoring and hosting our lab and/or for any contributions for the logistics of the closure, so please get in touch with us. And most importantly to all the creatives out there, never stop making and sharing. Have a good start of the year 2019, and may all your ideas and projects come to life! We hope at XinFab we can give you a hand with some of them. XinFab will be having a winter break. So if you need to make some last minute 3D printed or laser cut gifts then make sure to book the machines in advance. Thursday 10th - OPEN（13:00-21:00) and BACK TO NORMAL! Hey makers, check out the activities that we are planning for the month of December! Learn, fix, share and make! 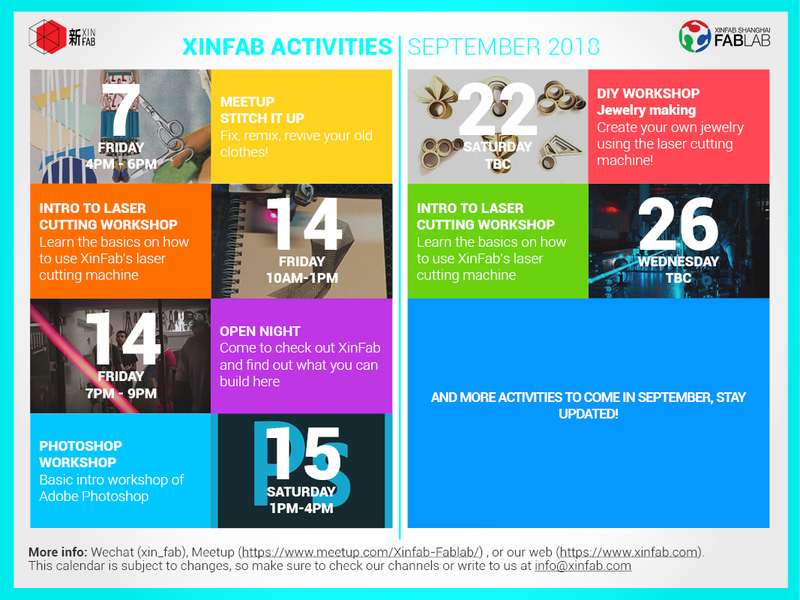 Activities are subject to changes, so follow us on Wechat (add xin_fab or scan the QR code), follow us on Meetup or check our website to stay up to date. On Saturday 27th of October, we will be having a workshop intro to 3D PRINTING inspired by the "Día de Muertos". 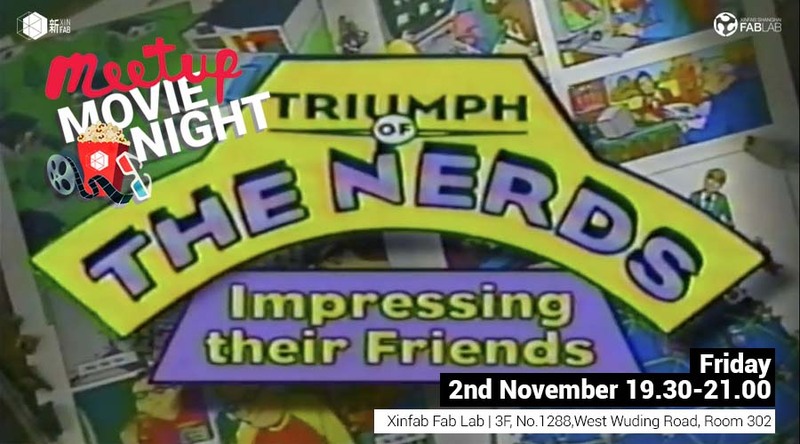 On Friday 2nd of November, we will be showing Episode 1 from the 1996 documentary "Triumph of the Nerds". Come for an after work movie night, meet other like-minded makers or makers to be, discuss the movie and grab a drink at our space. *And this Saturday 22nd of September (Mid-Autumn Festival) we will be open from 10:00 until 21:00!! Thursday 11th - OPEN (13:00-21:00) and BACK TO NORMAL! Check out the activities that we are planning for the month of September! Below are the full details of our activities. Details for all other events and workshops will be posted here soon (on Wechat and Meetup too), so stay tuned! These are the activities we will be holding during the end of the month of July. We'll most likely include more activities for the month of August. 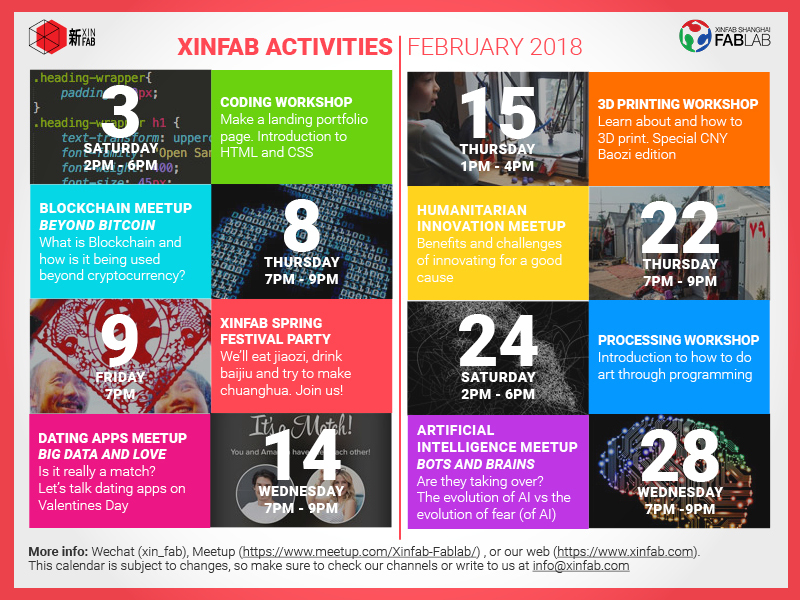 Activities are subject to changes, so follow us on Wechat (add xin_fab or scan the QR code), follow us on Meetup or check our website to stay up to date. Below are the full details of our activities for the end of the month. Details for all other events and workshops will be posted here soon (on Wechat and Meetup too), so stay tuned! Join architect Alexandros Economou for the REVIT ARCHITECTURE Course for beginners (CLICK HERE FOR INFO) this month of July. Learn what is BIM and how and why Revit Architecture is the perfect tool in the industry. This beginners course aims to explain step by step the basic elements of the interface, and commands in order to understand in depth basic to advanced concepts in Revit. 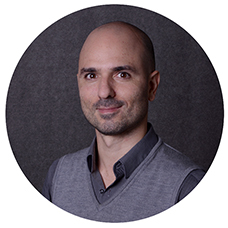 Throughout the course, Alexandros will guide you and share with you his experience using Revit. Using practical examples, you will learn how to model a house and discover what is Datum, view specific and model elements. Understand the way Revit differs from 3D modeling programs and what are the differences in CAD and BIM and concepts like conceptual massing and families. By the end of the course, you will have the basic building blocks in order to achieve more complex tasks and have a firm grasp of the program basics. The lesson will be taught in Metric system measures. Your dedication is key. We invite you to take notes during the course and to practice after the lessons with some homework and maximize your takeaway from the course. 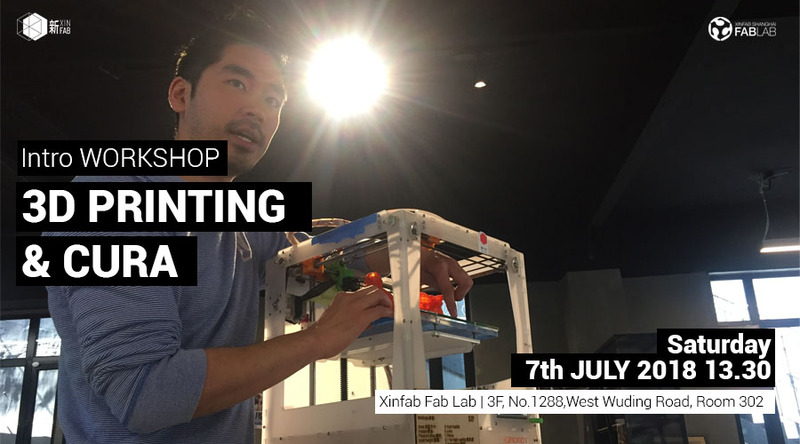 Join product designer and maker Danny Kuo at Xinfab next Saturday 7th of July to learn how to use XinFab's printers, setting up your model in CURA (we will use an opensource website to download a model and use it as an example) and then learn how to 3D print it! 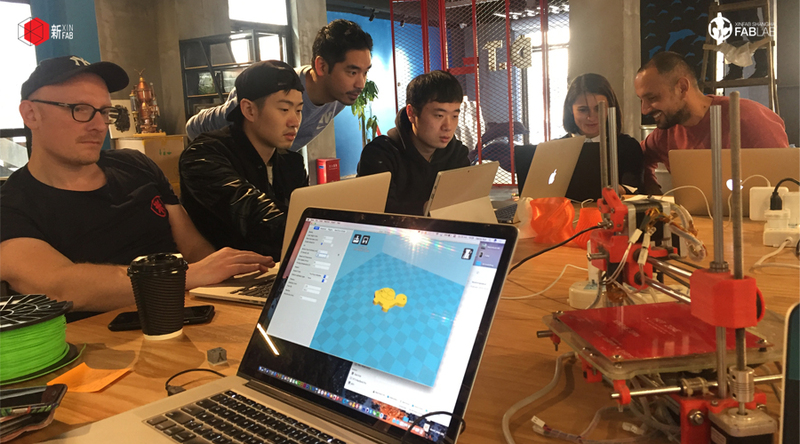 This basic intro workshop will make you understand more about 3D printing and you will learn how to set up XinFab printers so that you can come and do it on your own next time! 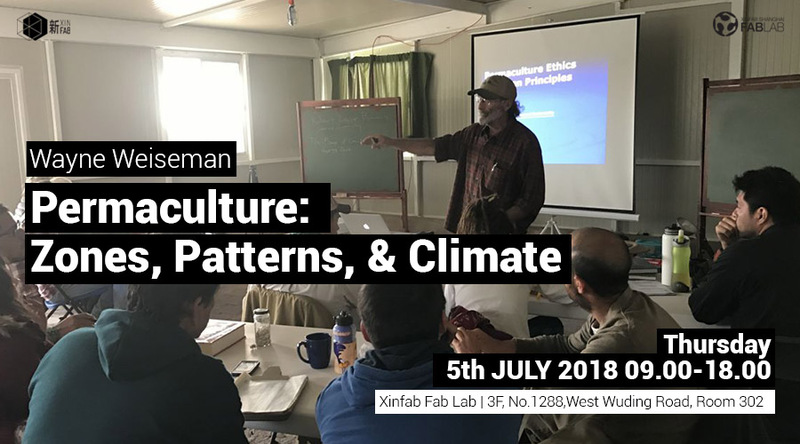 Join the Open session Permaculture: Zones, Patterns and Climate with Wayne Weiseman from the series of workshops from Wayne Weiseman and Rainbow of Hope this 5th of July. The session is divided into morning and afternoon session (from 09.00-18.00). You can join both sessions or one of them. This course focuses on the analytical mainstays of Permaculture design and their significance in the context of Permaculture design principles. This course gets a bit more technical but also shares the inspiring insights of projects that have helped to heal the planet and its scars. You should leave with a keen awareness that environmental and ecological problems can be simple to fix with a little understanding and the will to do the work. Click HERE to read more about the campaign and how to donate. 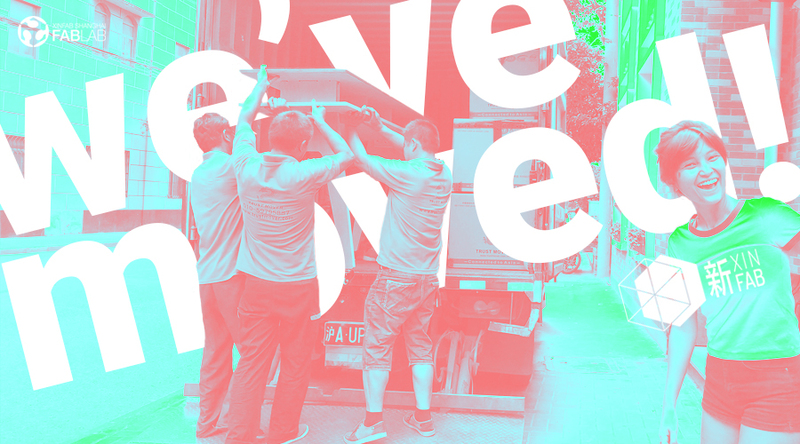 Join us on on Saturday, May 19 from 6pm at our new space for a big reopening party. Presale tickets include one delicious burrito by Dumbo Original and one drink provided by Real Shanghai Bar & Café. You'll also get a free shot by following Real Shanghai on the spot. Tickets sold at the door will not include food or drinks, so pre book yours! Ticket sales will cover the party costs and raise funds to keep the lab running. Lucio, Xinfab's founder, will kick start the party by telling us about changing his life from corporate CEO to Maker and non-profit entrepreneur. He will share his stories from his adveture sailing on the Atlantic, starting a Fab Lab in Shanghai from nothing and about how he is building a new Farm Lab in the sunny south of Portugal . DJ Tilaaaa will then rock the turntables and make everyone dance! She is a DJ born in Shanghai, having grown up inmersed in art and music. In 2016 she began to touch various styles of music, and began performing at underground music clubs like Arcade, Dada, Mansion and crazy Lotus Festival. Her favorite styles are: Grime, Clubtrax, Drum'n'bass. Her mixes will surprise you! 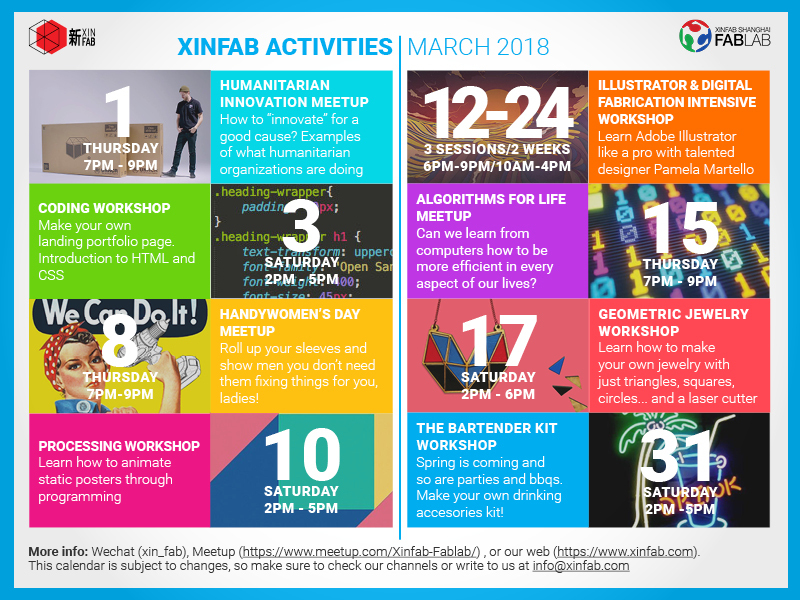 These are the activities we have planned for March so far, but we'll surely include more during the month, so follow us on Wechat (add xin_fab or scan the QR code), on Meetup or check our website to stay up to date. Below are the full details of some of this month's activities. Details for all other events and workshops will be posted here soon (on Wechat and Meetup too), so stay tuned! 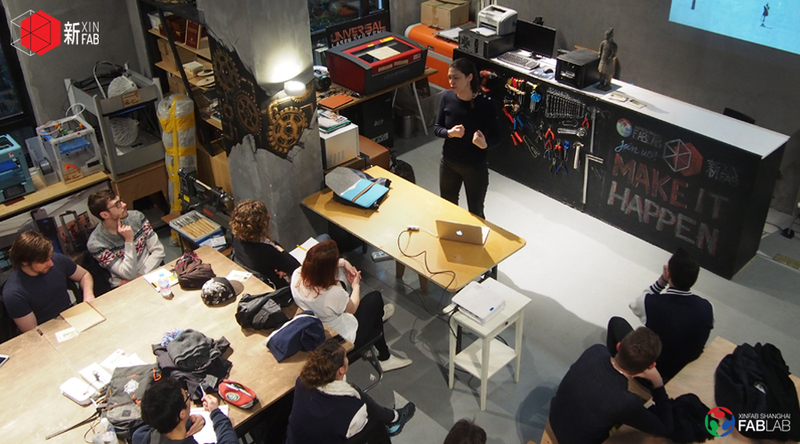 (THURSDAY, 1 MARCH - 7pm to 9pm) MEETUP: Humanitarian Innovation, How to create for a good cause? These are the activities we have planned for the month of February so far. 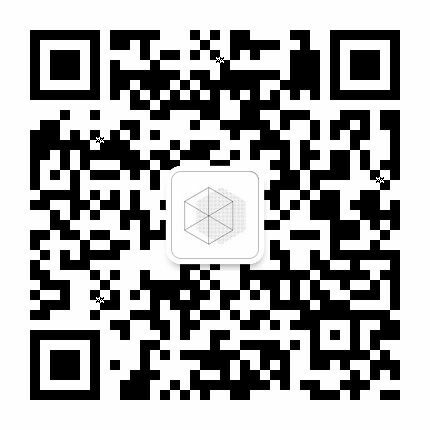 We'll most likely include more during the month and activities are subject to changes, so follow us on Wechat (add xin_fab or scan the QR code), follow us on Meetup or check our website to stay up to date. Below are the full details of our activities for the first couple of weeks of the month. Details for all other events and workshops will be posted here soon (on Wechat and Meetup too), so stay tuned! Everyone has heard of Design Thinking. It’s a buzzword that has infiltrated almost every organization, big and small. But what exactly is Design Thinking? -How does Design Thinking relate to Human Centered Design and/or User Centered Design? -What organizations are using Design Thinking? 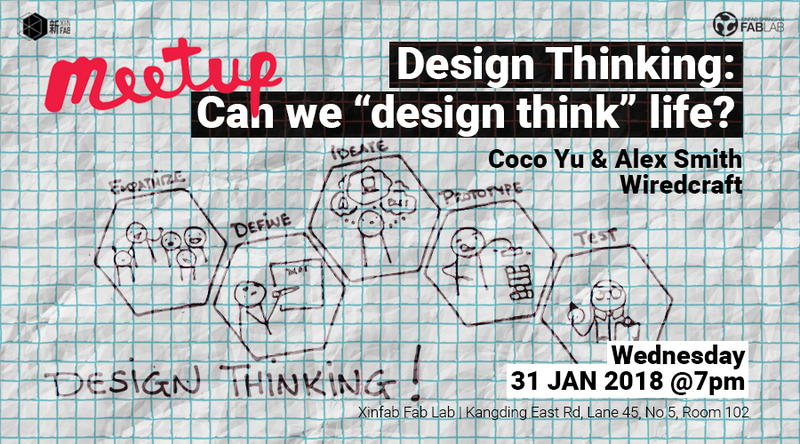 -What are our personal experiences with Design Thinking? 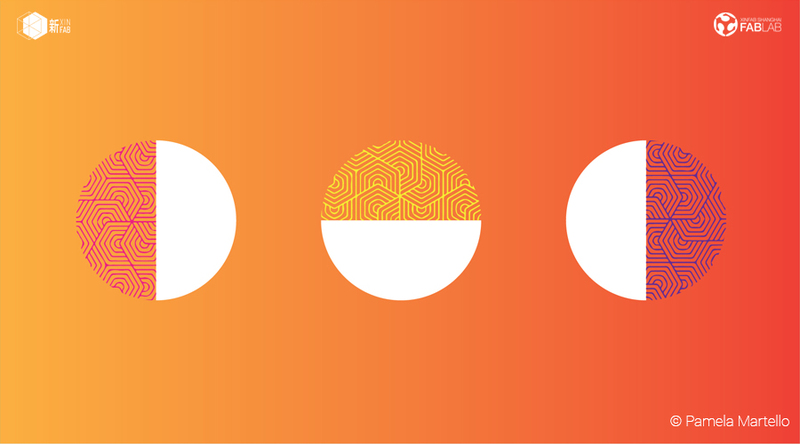 -What are the benefits of a Design centered mindset? -How does Design Thinking relate to community development? -How does it relate to me? Please follow us on Meetup to keep posted on this and other meetups. Also, that's where you'll be informed if anything changes! After a very busy period, we're taking it a little easier this week. We'll kick it off on Wednesday, January 17, with the second laptop sleeve meetup, where we'll start actually making them. Then, on Saturday, January 20, we're going to learn how to use the laser cutter and learn the basics of 3D printing by making some emoji stamps. 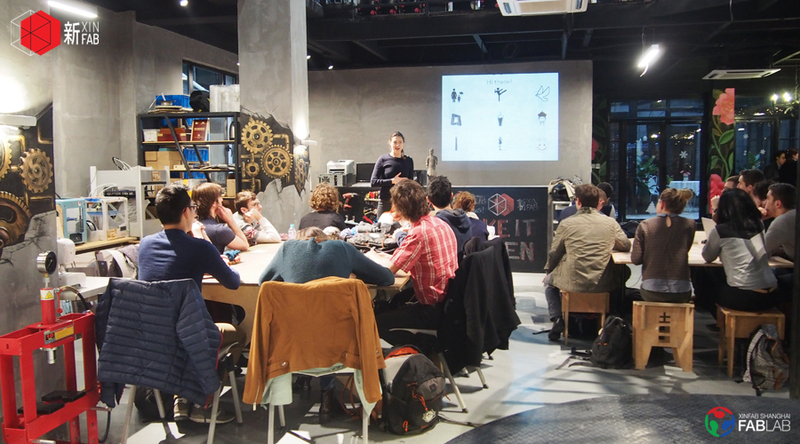 Finally, the sign up deadline for the Illustrator and Digital Fabrication Intensive Workshop has been extended to January 20 as well. Do not miss out on the deadline because it's your last chance if you want to join the class that starts on January 22! (WEDNESDAY, 17 JANUARY - 7pm to 9pm) MEETUP: Heart on a sleeve: Make your laptop a cool sleeve! Staying in Shanghai for Christmas and New Year's? (WEDNESDAY, 10 JANUARY - 7pm to 9pm) MEETUP: Heart on a sleeve: Make your laptop a cool sleeve! Finally, Pamela's Illustrator intensive workshop's 3rd edition will take place from January 22 - February 3, but the sign up deadline is January 13, so don't miss out! 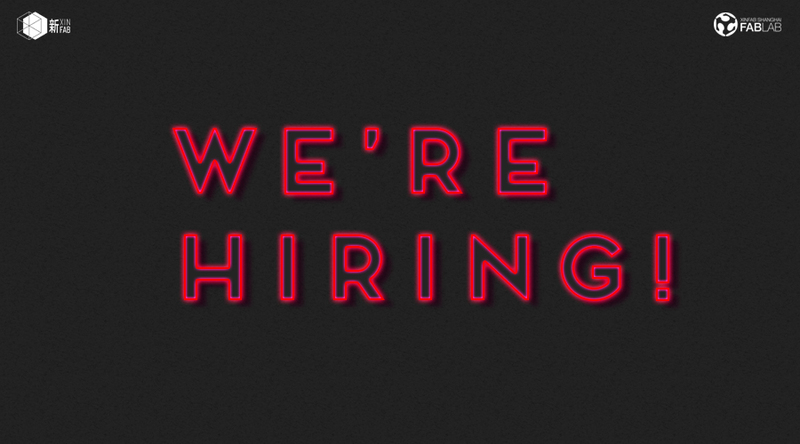 We're looking for another lab manager to help us keep up. If you would like to work in a relaxed, fun and creative environment, take a look at the job description and find out how to apply. Christmas is soon here and so we thought of some workshops for you to DIY some cool little gifts for your loved ones (or for yourself). You can also offer them a workshop voucher and instead of giving an object as a gift, give people knowledge! 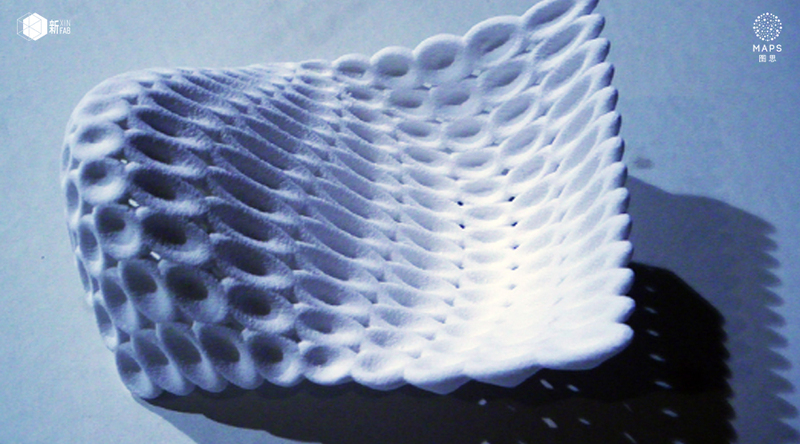 (TUESDAY, 12 DECEMBER - 7pm to 9pm) MEETUP: "3D Printing - Just a hype?" (SATURDAY, 23 DECEMBER - 1pm to 5pm) DIY WORKSHOP: iTattoo - Engrave on your phone! [24.11.2017] PARTY TIME + DIY 3D PRINTER + LOTS OF MEETUPS! Lots of things going on in the next week, including our long due housewarming party! Plus, we're going to talk about 3D printing technology and have a Q&A with a guru on the topic, then we're going to play with our 3D scanner too. 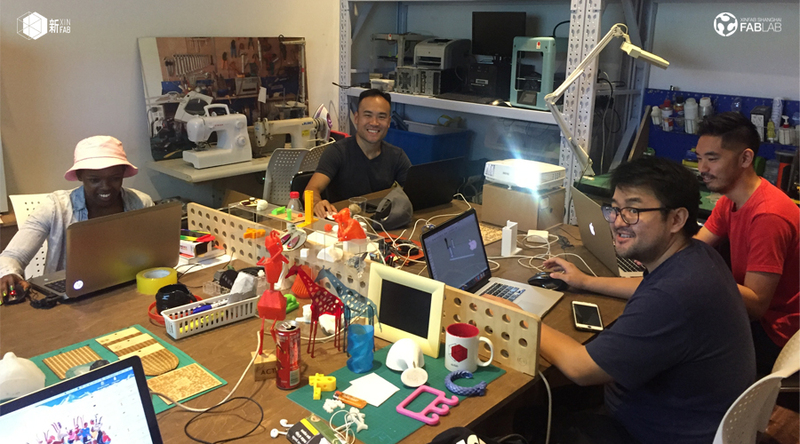 Also, Saturday 25 is the last chance to sign up for the DIY Portable 3D Printer workshop on December 2 and 3. Lucio, Xinfab's founder, will be teaching this workshop and since he no longer leaves in Shanghai and only pays us a visit from time to time, don't miss this chance! 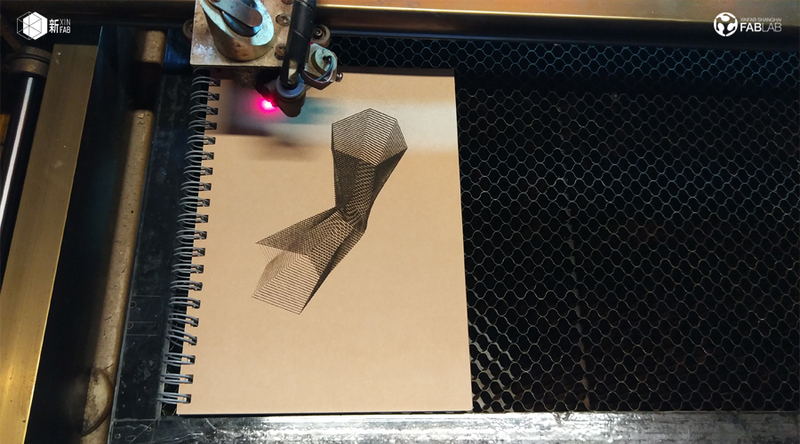 (SATURDAY, 25 NOVEMBER - 4pm to 7pm) MEETUP: "3D Printing - Just a hype?" (TUESDAY, 28 NOVEMBER - 6pm to 9pm) MEETUP: "Get Scanned! 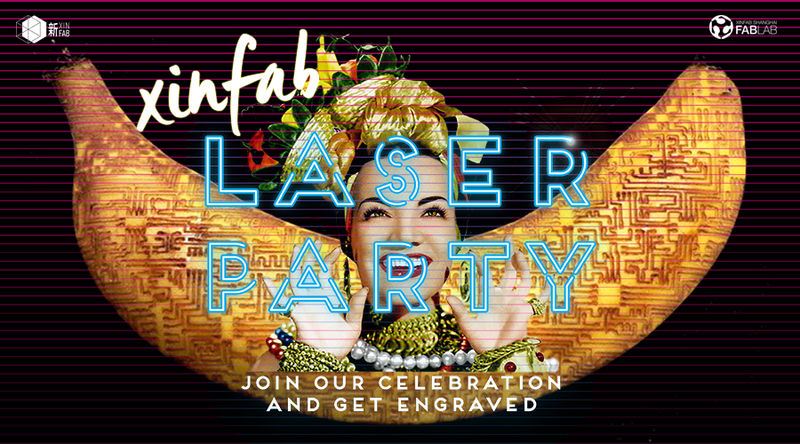 Let's play with our 3D Scanner"
(THURSDAY, 30 NOVEMBER - 7pm to until the neighbors complain) Xinfab's Laser Party - Our housewarming party! 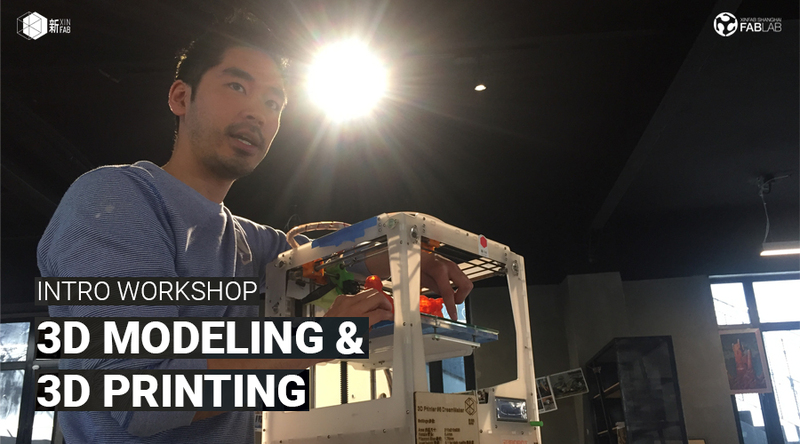 (SAT AND SUN, DEC 2 AND 3 - 9am to 7pm) DIY WORKSHOP: MAKE YOUR OWN PORTABLE 3D PRINTER with Lucio (Xinfab's founder) - Sign up deadline on Saturday, 25 November! The dates are set. 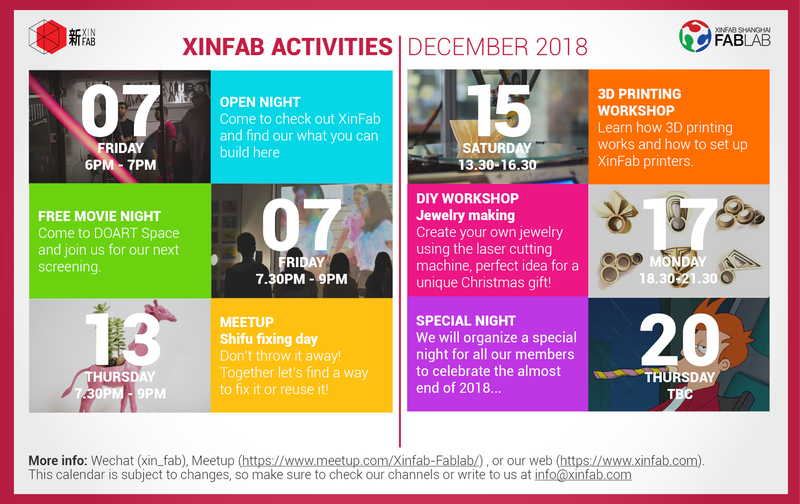 Xinfab's founder Lucio will be teaching how to make a drone and a portable 3D printer from scratch on November 26 and December 2 and 3, respectively. Just click on the workshop titles below for full details and how to secure your spot! Finally, next week, on Tuesday, November 14 from 7pm we're going to get together to talk about Assistive Technology and Disability. With more than 1 billion people with disabilities around the planet and the likeliness of any of us experiencing a disability during the course of our lives being extremely high (and on the rise), we figured it's about time we contribute. More details on Xinfab's Meetup group. Next week, on Thursday, November 9 from 7pm we're going to get together to start figuring out how build a simple DIY air purifier. With Shanghai's air quality decreasing as winter arrives, we feel like instead of spending many hundreds of RMB on buying a fancy air purifier, we can just do it ourselves since it doesn't seem too hard. 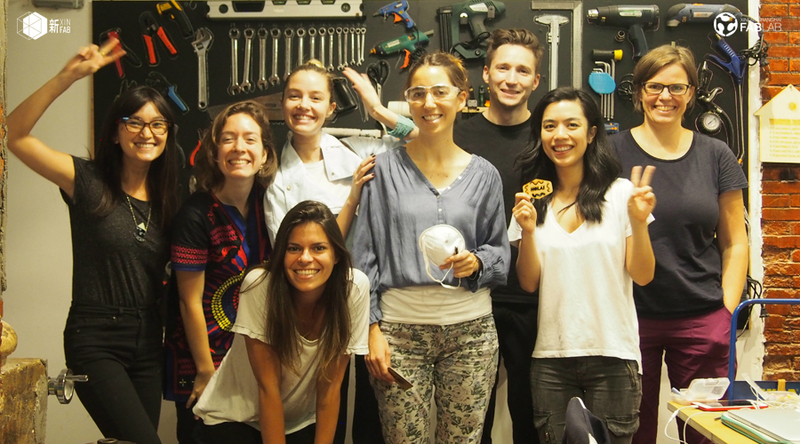 If you want to breath safely at home without going bankrupt and acquire some maker skills in the process, join us! Also, on Friday, November 10 from 7pm we're going to relax and watch a movie together. It's not a public screening, though. But if you're a member, come and watch Spike Jonze's "Her" with us! More details here. 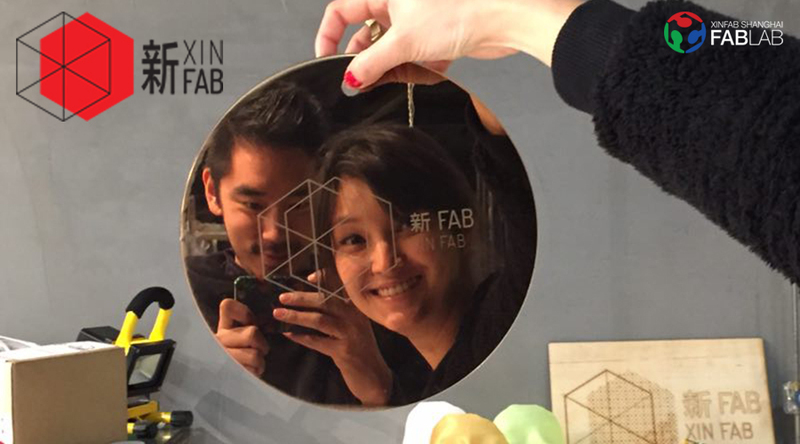 Xinfab's founder Lucio is still coming to Shanghai very soon, but he had to postpone his trip. We will post the dates here as soon as we have them, but it is more than certain that he'll be teaching how to make a drone and a portable 3D printer from scratch. Just click on the workshop titles below for full details and how to prebook your spot. If you're interested, just send us an e-mail and we'll put on you on top of our waiting list and as soon as we have a date and time, you'll get the chance to sign up first. 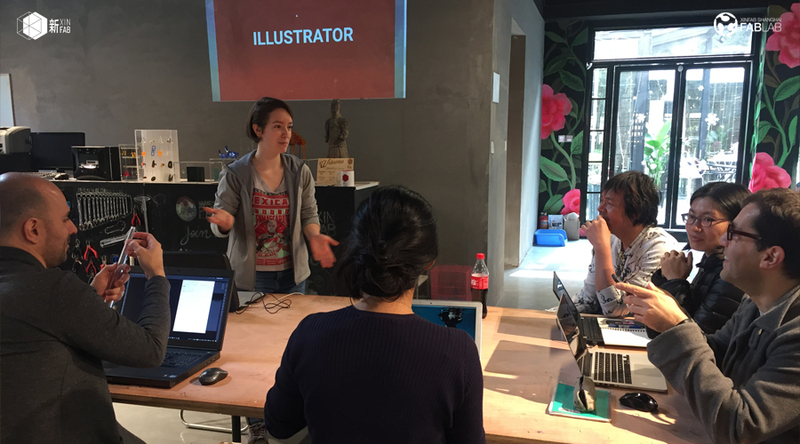 From October 31 to November 11, Pamela is going to teach how to use Adobe Illustrator, following the success of last month's intensive workshop. We're going to keep the launch's pricing for this edition so if you missed it last time, make sure you join this one! Xinfab's founder Lucio is still coming to Shanghai very soon, he had to postpone his trip to November. 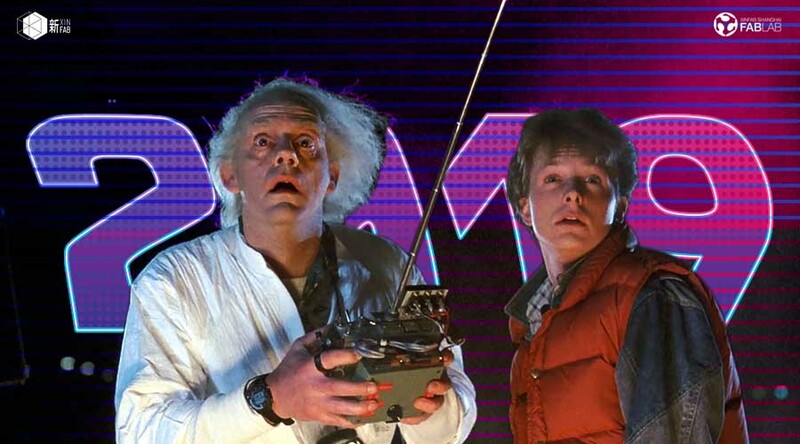 We will post the dates here as soon as we have them, but it is more than certain that he'll be teaching how to make a drone and a portable 3D printer from scratch. Just click on the workshop titles below for full details and how to prebook your spot. Last but not least, the Vertical Farm Meetup is moving forward. We got together to figure out how to make a vertical farm and now we are buying everything we need to get started. This Wednesday, October 18 at 7pm we are going to put it all together and start making it! More details on Xinfab's Meetup group. Join us at Xinfab for a Vertical Farm Meetup this Wednesday, September 27 at 7pm. We are going to get together and figure out how to make one, so if you're intested in the topic, wanna join this experiment or are simply curious, just come by! More details on Xinfab's Meetup group. 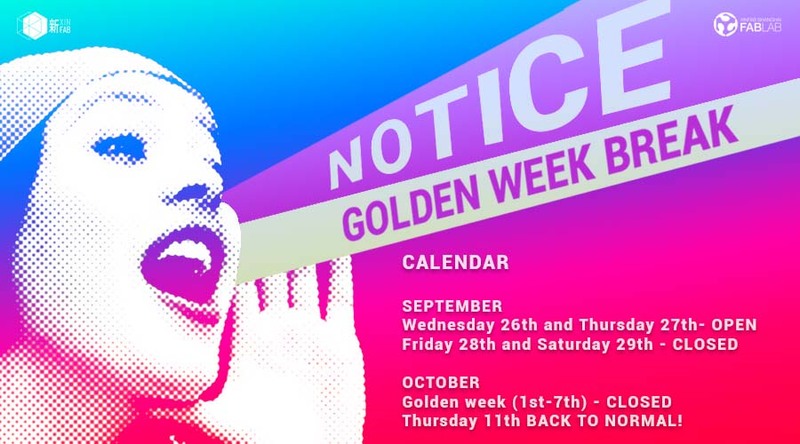 Next, if you have no plans and don't know what to do during the "Golden Week" (National Day Holiday), you can come to Xinfab because we are also not going anywhere and we are going to be open. Our opening hours are going to be slightly different than usual: October 1-2 (Sunday and Monday) - CLOSED; October 3-6 (Tuesday to Friday) - 11AM to 6PM; October 7-8-9 (Saturday to Monday) - CLOSED; and back to normal opening hours on Tuesday, October 10. 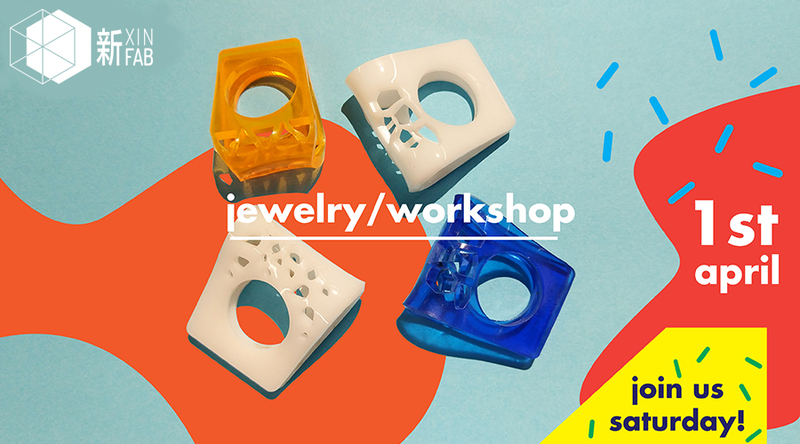 Also during the holidays, more specifically on Tuesday, October 3 from 10am to 5pm, Pamela is going to be teaching how to make a 3D printed ring. You'll get to learn the basics of Rhinoceros 3D and then print your ring. Click here for the full workshop details and how you can sign up. 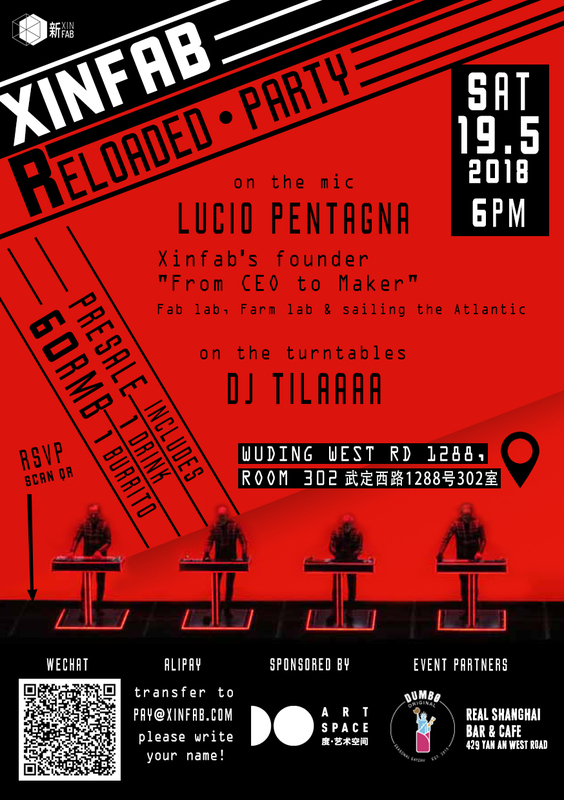 Finally, Xinfab's founder Lucio is coming to Shanghai in the second half of October to pay us a visit and show us how to make some cool stuff. 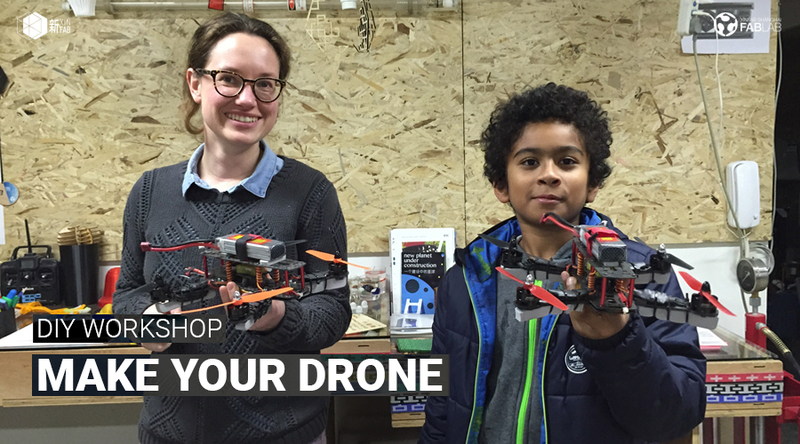 He'll be teaching how to make a drone and a portable 3D printer from scratch! The exact dates are yet to be defined but you can already pre-book a spot. Just click on the workshop titles below for full details. You have asked for it, now here it is! 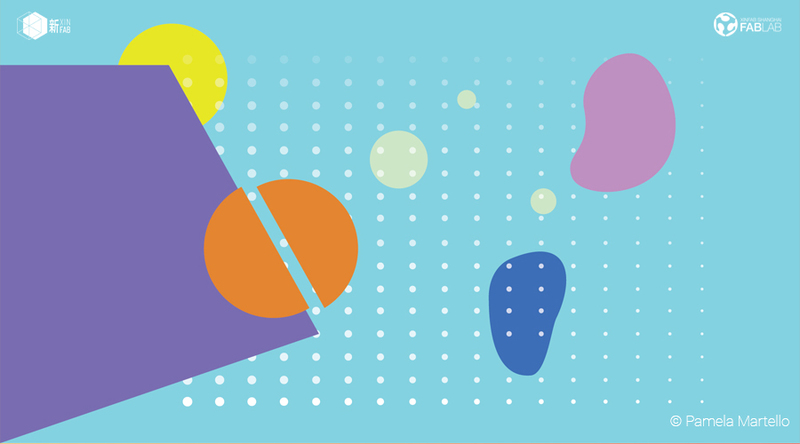 After many people who joined our intro workshops asked for a more in-depth, intensive course on Illustrator, our favorite and most talented designer Pamela Martello is going to take you through this amazing tool from start to finish. She'll share with you her knowledge and tricks of 9 years of experience with Illustrator. 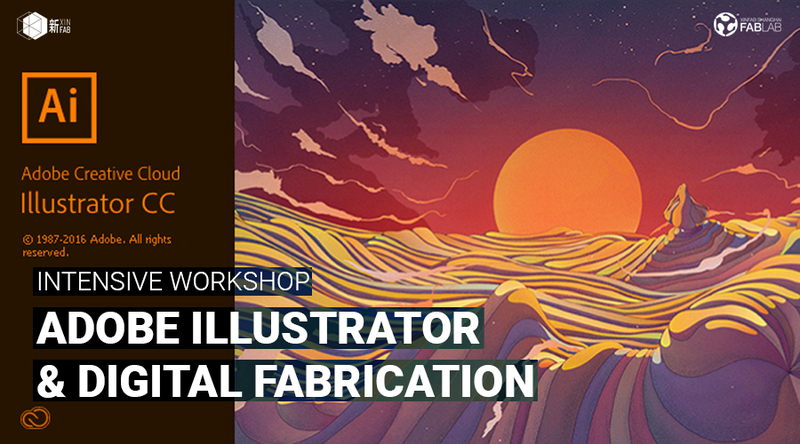 In this intensive workshop, you will start by getting familiarized with Illustrator, gradually move on to learning how to use its main tools and features, and then get a 2-dimensional design of your own to the finish line. In addition to Illustrator, you will also learn how to integrate your newly acquired vector design skills with Xinfab’s laser cutter and bring an object to life. Finally, if time and everybody’s pace allows, we’ll also give you an introduction to Photoshop. No previous knowledge is required! Adobe Illustrator is the design industry’s standard for creating vector graphics. 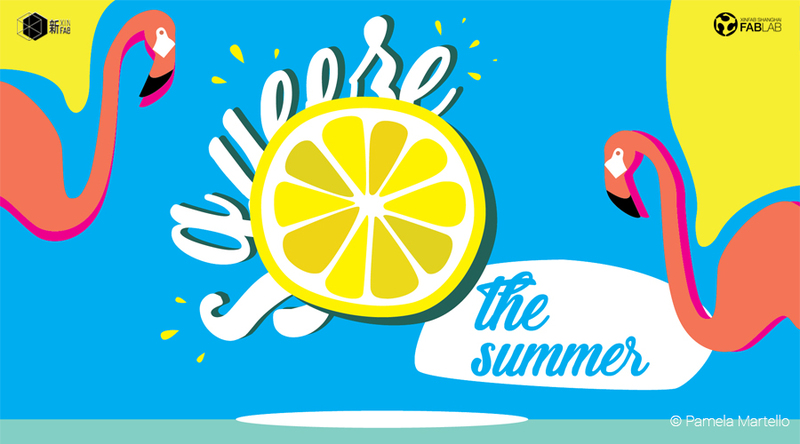 With it, you can design posters, banners, logos, websites – in sum, you can illustrate anything you want! 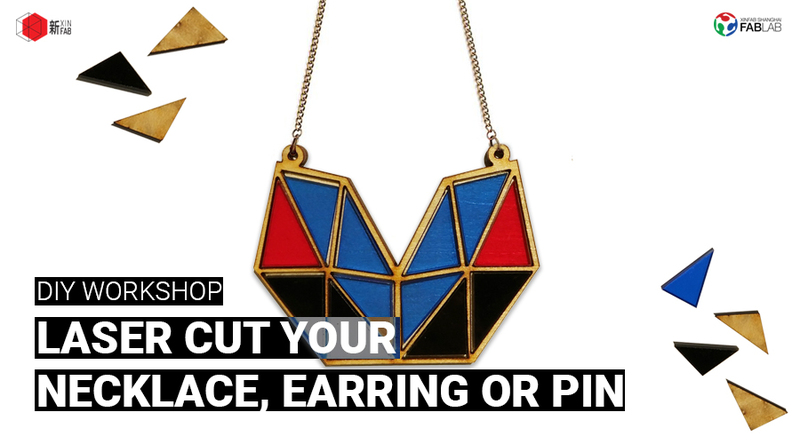 By combining it with the laser cutter, you can also create 2-dimensional and 3-dimensional objects – the only limit is your imagination! Your dedication is key. We invite you to practice after the lessons with some homework and maximize your takeaway from the course. 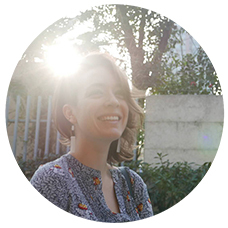 Jade Young is a Brazilian communicator and Xinfab's space manager. 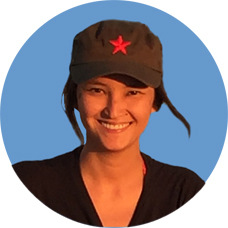 Before joining Xinfab, Jade worked in communication for the United Nations (International Labour Organization) and the International Committee of the Red Cross, in Geneva, Switzerland. She created posters and graphics for both organizations during her experience with them. She then complemented her education and experience in International Relations with a Master's in Advertising Design and Communication at the Barcelona School of Design and Engineering, in Barcelona, Spain. While humanitarian values and non-profit philosophy are her credo, creating is her passion. Jade has loved to draw from a very early age and has been playing with the Adobe suite for over a decade. She has also been into tech since she got her first computer way back in 1998 and has been playing with web coding ever since. 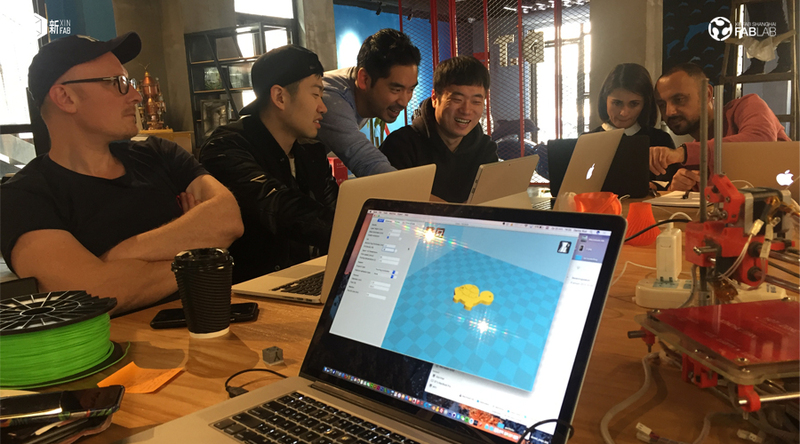 Join product designer and maker Danny Kuo at Xinfab to learn the basics of 3D modeling (and the perks of modeling for 3D printing) with Sketchup Make and then learn how to 3D print it! You can then use this knowledge to start making anything, really! Sketchup Make is a free software that is super simple to use. Cura is also free. 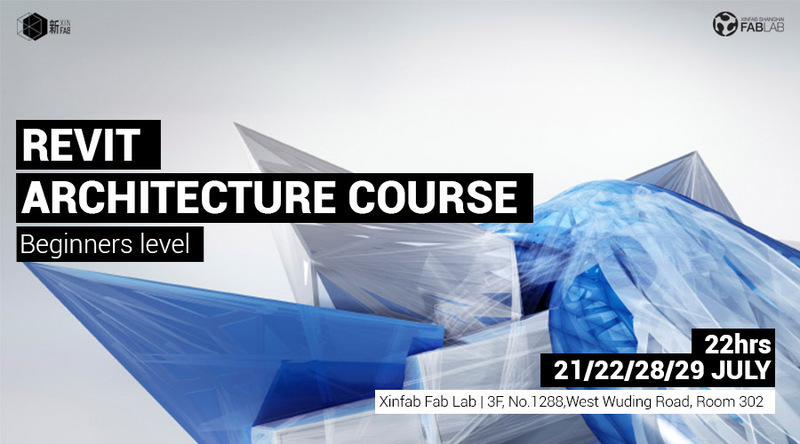 Come by Xinfab 1 day before the workshop at the latest to book your spot. Danny Kuo is a Dutch designer based in Shanghai. 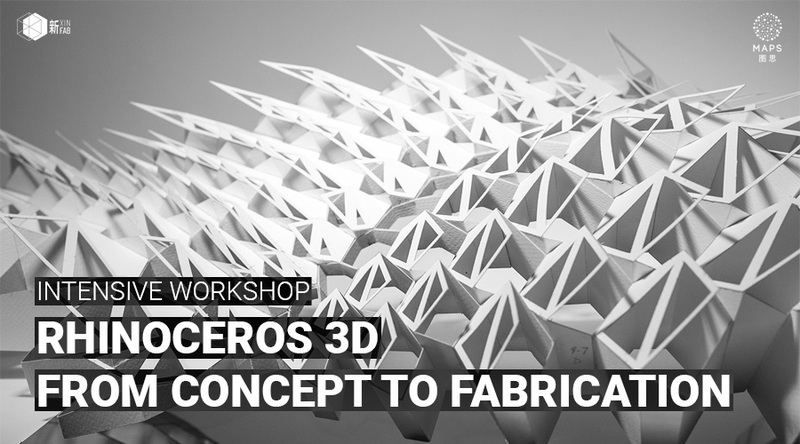 He will be teaching the fabrication part of the workshop, where you will learn how to 3D print models. Danny currently works at Opendesk and has been a passionate volunteer at Xinfab since 2015. 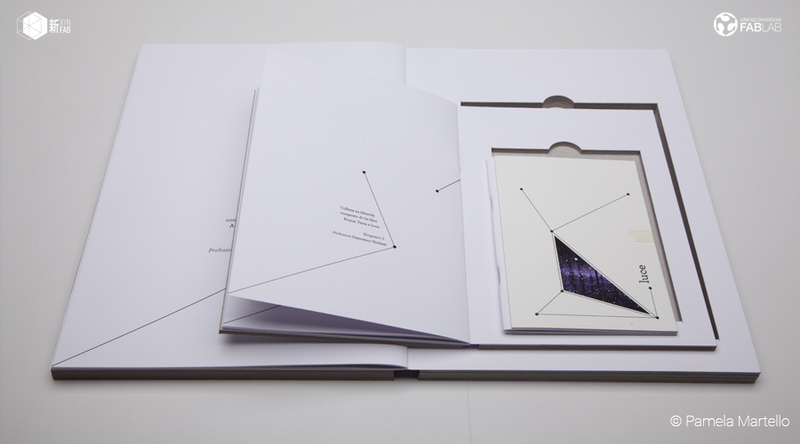 As a designer, Danny is concerned about how technological progress is changing our reality. With conscious design thinking, Danny aims to improve lives through his products and offer something everyone can enjoy. That's right, everyone. We are back! From this Tuesday on, you are all welcome to come by and check out our new home, although we are still setting up a few things. Our friend, Xinbang Laser (no joke here, it's the laser's real brand name! ), is not fully operational yet, but you can already 3D print, use our new space and all of our other tools and machines too. We'll organize workshops again really really soon and also a big opening party, of course. But no need to wait for that to come by and say hi! We're waiting for you at Kangding East Rd, Lane 45, Building 5, Room 102 (near Taixing Rd), Jing'an District. We just moved in into our new location, landlord mafan-free! In the next coming days, we'll be organizing our new home and we hope to be ready in early August. As soon as we're all settled, in we'll post our new address here and on Wechat. 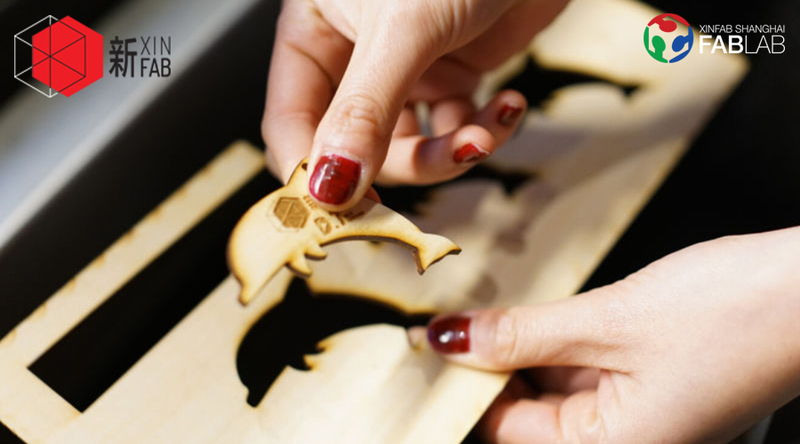 During this workshop where you will learn how to engrave any image you want using our laser. This time you will engrave on a notebook you will then take home with you, but the technique you will learn can actually be used to engrave on other materials or even just transform, for example, a hand drawing you made into a digital one. Transfer the workshop fee to us via Alipay [email protected]. Please indicate your name, phone no and which workshop you'll join on your payment. You can also send us an e-mail to [email protected] to confirm it. If you can't use Alipay, please just send as e-mail! Do you have plenty of ideas to make things, but don't know how to or just don't have the space or the tools? Then Xinfab is the place for you! 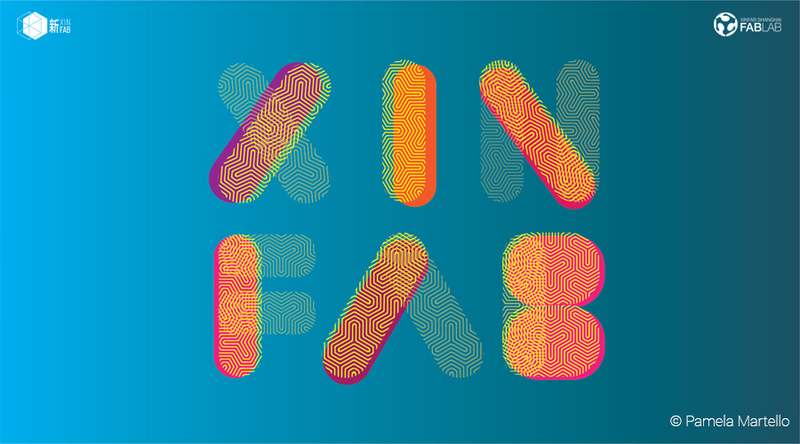 Come by anytime between 6 and 9pm this Tuesday to check out our space, find out what Xinfab is about, and learn how to become a member if you’re not yet a Xinfabber. [20.06.2017] JOIN US AT THE WC8'S FOOTBALL FESTIVAL ON JUNE 24! This Saturday, June 24, Xinfab is joining the fun at the World Cup 8's Summer Festival. The second edition of the international tournament will take place from 9am until 10pm at the Jing'An District Workers Stadium, Changhua Road 888. 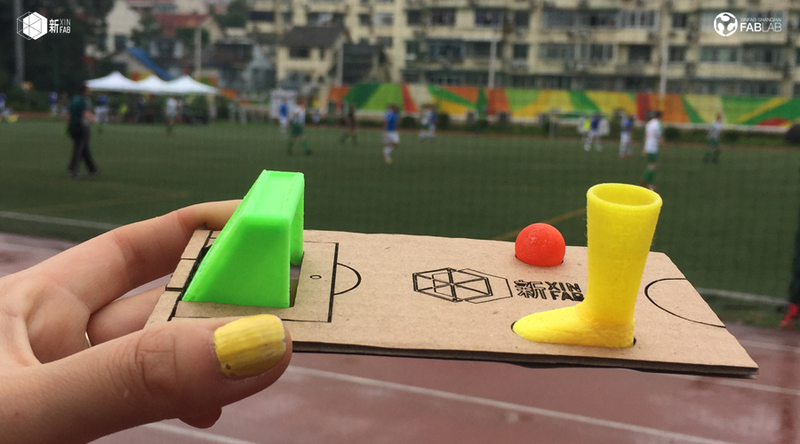 This year, besides the football fun, there'll be tons of other activties going on, including 3D printing with us! Click here for more info on the event and on how you can join the fun too. 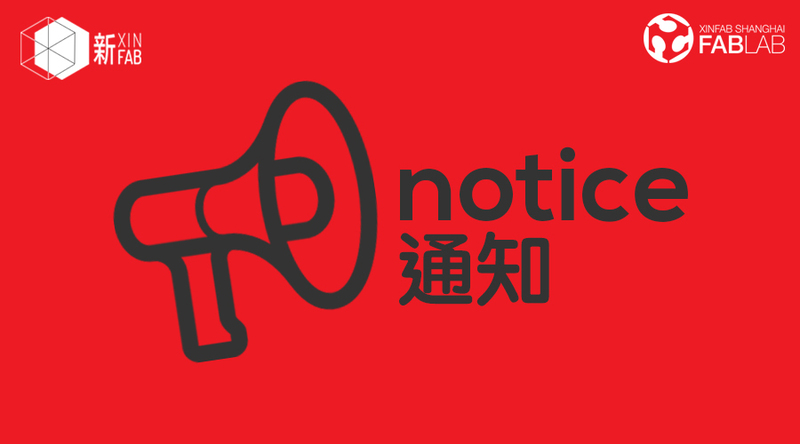 Xinfab will be closed during the Dragon Boat Festival (28-30 May), but we're back to normal right after it, on Wednesday, 31 May. Our Open Night is always held on Tuesdays, but will be held exceptionally on Wednesday, 31 May because of the holiday. This is part one of a two-part workshop. 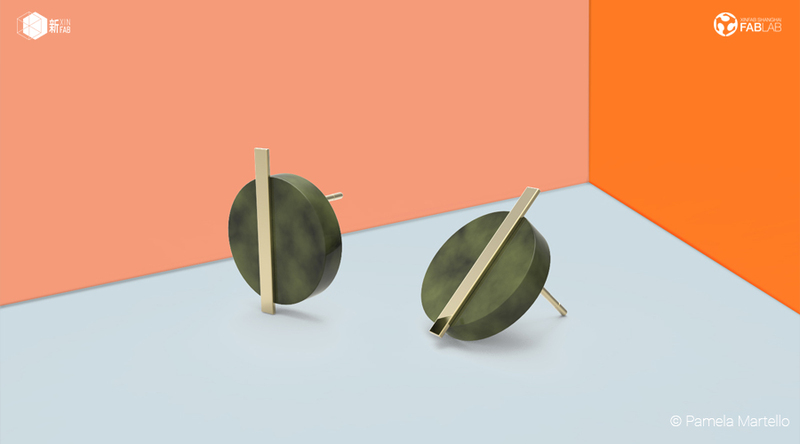 During part one, you will learn basic tools to create a ring with Rhinoceros 3D. During part two, you will learn how to 3D print your model. You can choose to join both or either. This is part two of a two-part workshop. During part two, you will learn how to 3D print your ring. If you only join this part you will get to print one of Pamela's design (no modification, no customization). 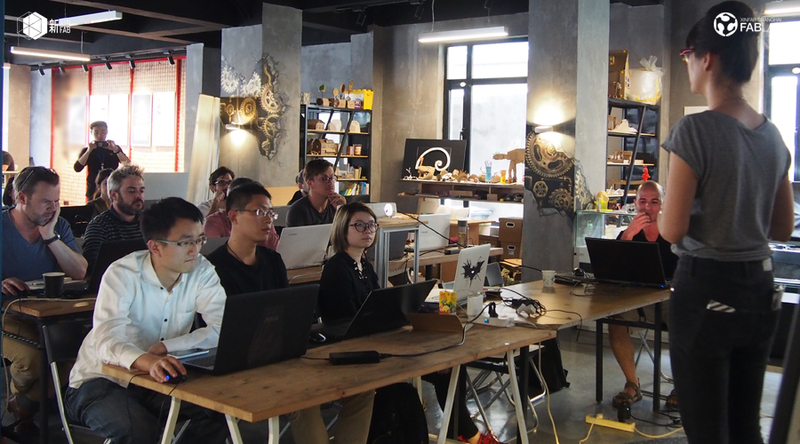 In this intensive 1 week workshop we will take you through the whole design process, including analysis, concept design, 3d modelling, visualization and fabrication. No previous knowledge of Rhinoceros is required! It is ideal for beginners, students and professionals of any design field who need to quickly improve their design skills and catch up with the latest digital design technologies. You will learn not only the principles for a complete design process, but also the tricks and tips of an experienced designer who has used Rhinoceros as his main tool to create hundreds of projects of different scales and fields for over 10 years. We will focus on design methodologies and techniques applied to product design, architecture, landscape architecture and urban planning. 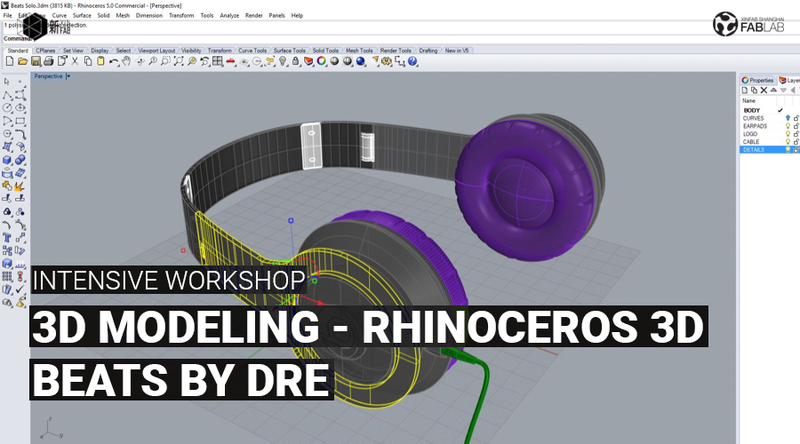 This workshop will give you the tools to expand your creativity and enhance your productivity by using one of the international design industry standards, Rhinoceros, theworld's most versatile 3D modelling software. Questions? Send an email to [email protected]nfab.com. 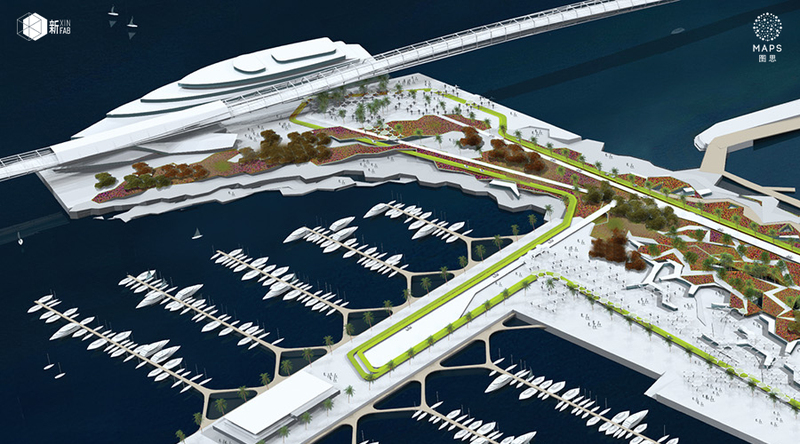 Ignacio Lopez Buson is an architect with over ten years of international experience working in Europe and Asia, managing and leading multi-disciplinary teams with a focus on computational tools applied to design, architecture, landscape architecture and master planning. 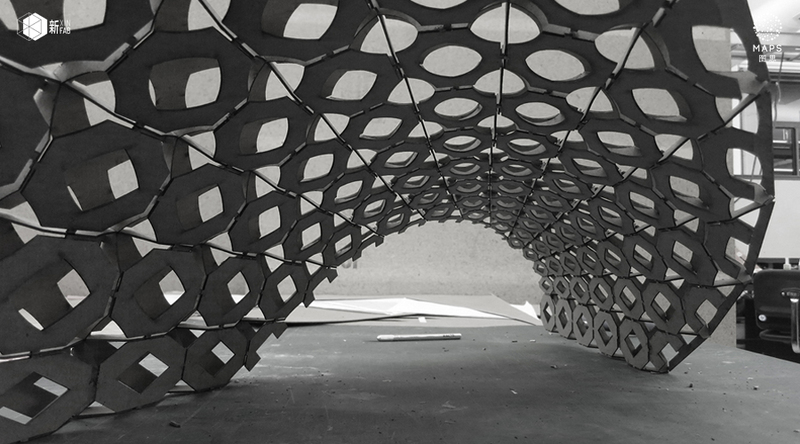 In 2014, he co-founded the design collective MAPS (Methods for the Architecture of Patterns and Systems) in Shanghai, specializing in developing innovative design solutions for human-natural systemintegration at all scales. 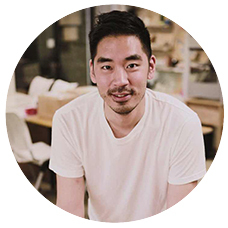 He embraces the use of digital technologies and is an expert in applying them throughout the entire design process, from analysis and concept design to digital fabrication and visualization. 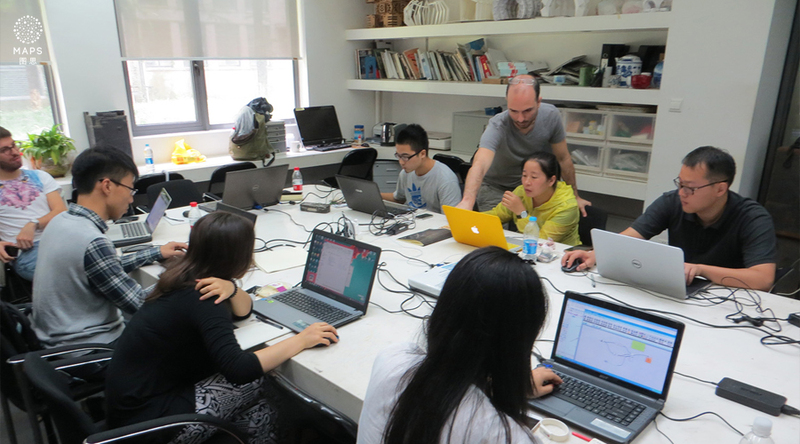 Ignacio has led international courses and workshops related to methodologies for generative and parametric design, including teaching and guest critic positions at the London based Architectural Association School of Architecture (AA), IaaC Summer School, Shanghai AAVisiting School Program, Singapore University of Technology and Design (SUTD), Tongji University in Shanghai and Turenscape Academy in Huangshan. Send an email with your name and contact info (phone no, Wechat) to [email protected] or scan the Wechat QR codes for each workshop in the links above. Tired of wearing the same as everyone? You have ideas to customize your own t-shirt, hoodie, bag, or even a poster but don’t know how to make it? 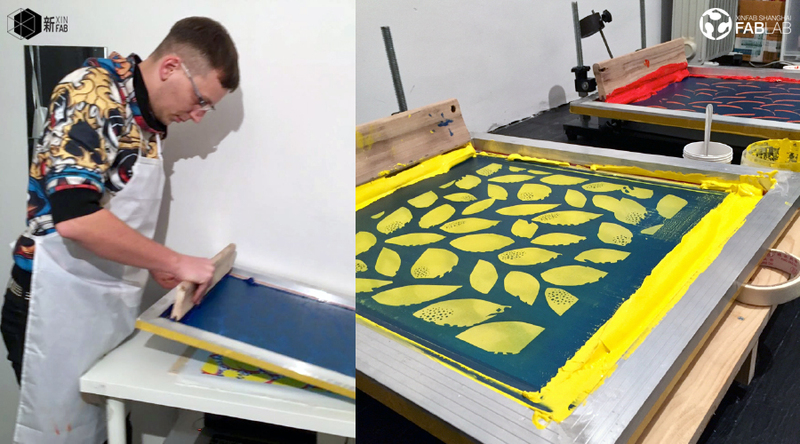 At Xinfab, you can learn how to do that using the screen printing technique. You will create a color using pigments and ink base, and print your own design on a variety of flat items: paper, tee-shirt, hoodie, canvas bag, whatever you want! Bring your own object and then take it back home with your image printed on it. *The soonest you send us your design, we can analyze it and let you know if it’s OK for printing or if needs to be fixed. **We will prepare the screens in advance, so we need your file first. // We will provide A2 paper, but if you wish you should bring your own blank t-shirt, bag, etc. 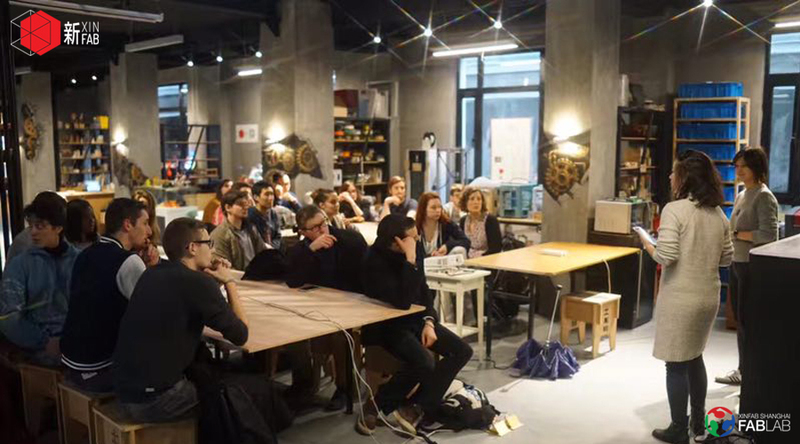 Opendesk Shanghai is hosting its opening party this Thursday, March 9, and we are joining! 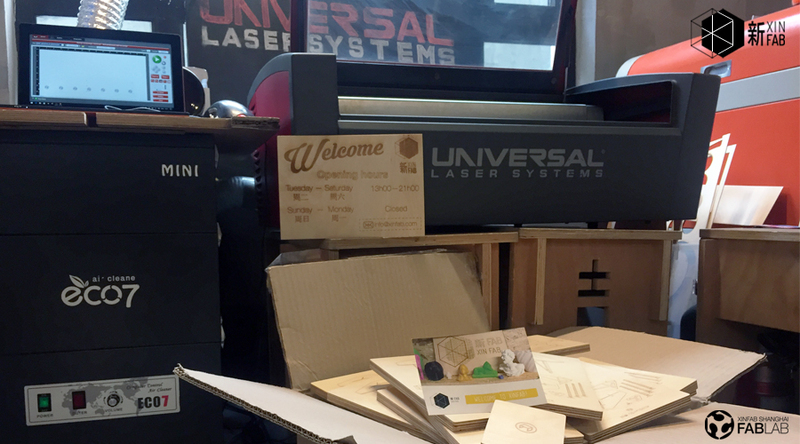 We are also bringing our good friend, Universal Laser Cutter, with us. 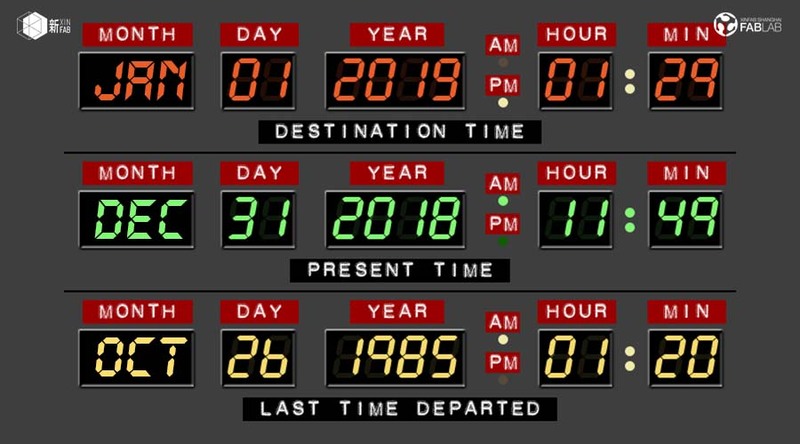 **Remember to book your machine before you come, or you risk waiting for a long time! ***Some machines are booked for workshops, so make sure to check our workshop schedule before you come. Send us an email to [email protected] or join one of our Open Nights to find out how you can become a member. Last evening, Xinfab welcomed UTSEUS' kickoff session of this spring's Innovation in Smart Cities and Entrepreneurship in China programme. 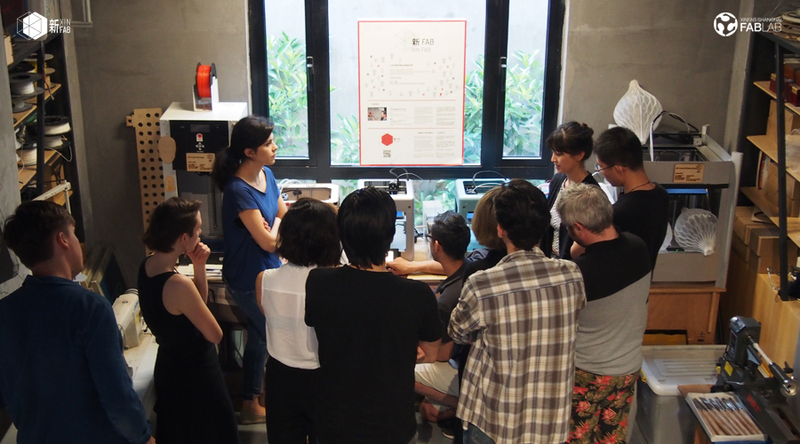 The new students first got familiar with our fab lab and then Rachel Dayou, UTSEUS' UHO2 entrepreneurship course leader, explained to them what they will be learning and making this semester. We are very happy to have been the student's landing spot in Shanghai! Learn the basics of laser cutting and Adobe Illustrator with us this Sunday, February 19, from 11am to 2pm! You will laser cut on wood and take a small custom design home with you. 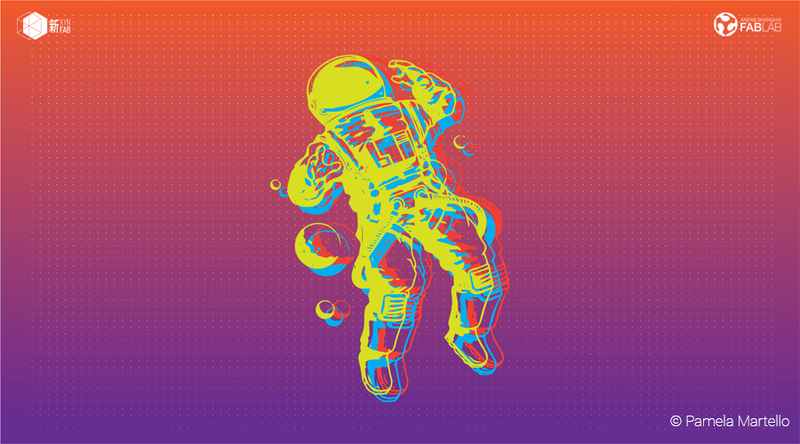 Adobe Illustrator is a vector graphics software that allows you to create your own custom 2d designs and use them to cut and engrave different materials with a laser cutter. This powerful tool allows you to unleash your creativity and make your ideas a reality. Please bring your laptop with Illustrator installed. Limited to 10 people, so hurry up! Do you have plenty of ideas to make things, but don't know how to or just don't have the space or the tools? Then Xinfab is the place for you! 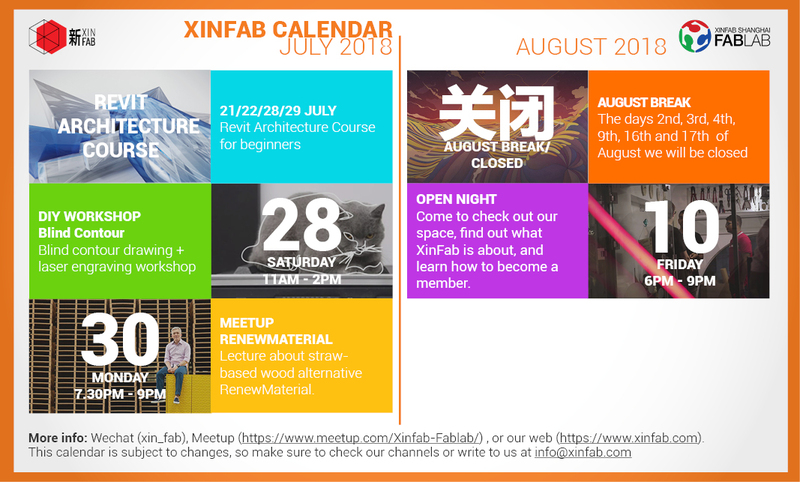 Come by anytime between 3 and 6pm this Saturday to check out our space, find out what Xinfab is about, and learn how to become a member if you’re not yet a Xinfabber. 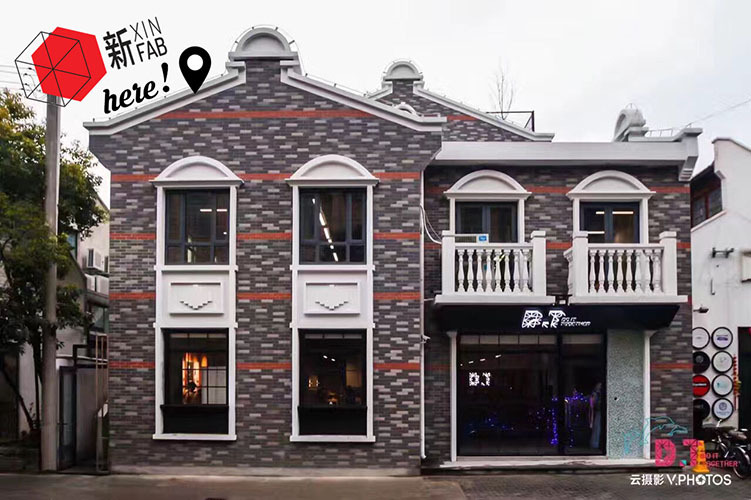 Xinfab is now located at DT Space, 665 Changhua Road, Jing'an District, Shanghai. For the time being we are operating in limited hours. If you are a member, feel free to come and make from Tuesday to Friday from 1pm to 6pm and on Saturday from 10am to 6pm. Technical assistance is also limited, so if you already know how to 3D print and laser cut, feel free to use our printers and cutters. Otherwise, sign up for our introduction workshops coming soon. If you're not yet a member and would like to visit us and learn more, follow us on WeChat for our open days. As always, follow us on WeChat for further updates. Stay tuned! 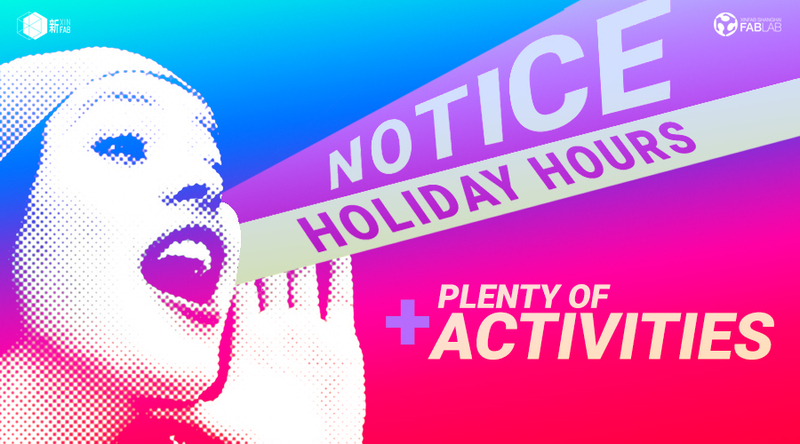 From December 21 to January 19 and from January 26 to February 2, XinFab is going on a holiday break. As the rooster crows at the dawn of 2017, we'll be back with a brand new XinFab in our new location: D.T. Space, 665 Changhua Road, Jing'an District, Shanghai. Meanwhile we have limited opening hours for our members from Tuesday to Friday from 1pm to 6pm and on Saturday from 10am to 6pm.No technical assistance will be provided, so if you already know how to 3D print and laser cut, feel free to use our printers and cutters. Otherwise, sign up for our introduction workshops coming soon.